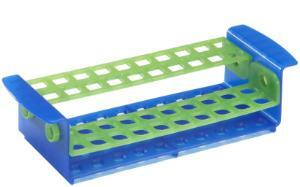 Rotate with ease to accommodate your needs. 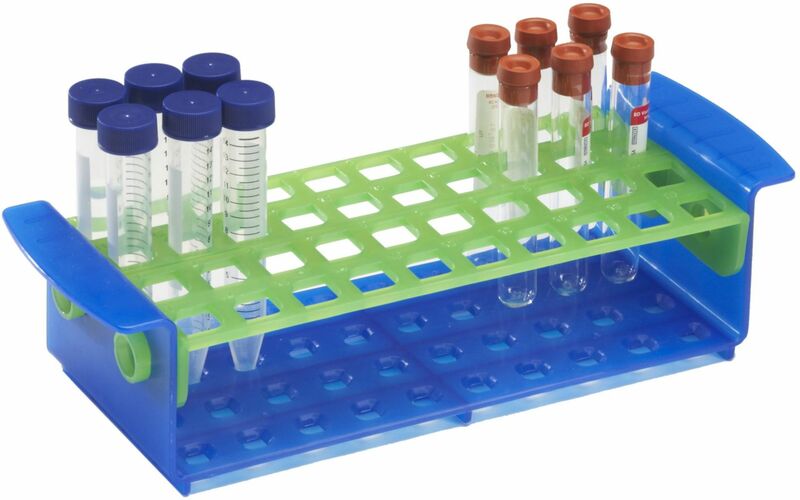 With benchtop space at a premium, it's important for research and clinical labs working across a range of applications to efficiently use the space available. 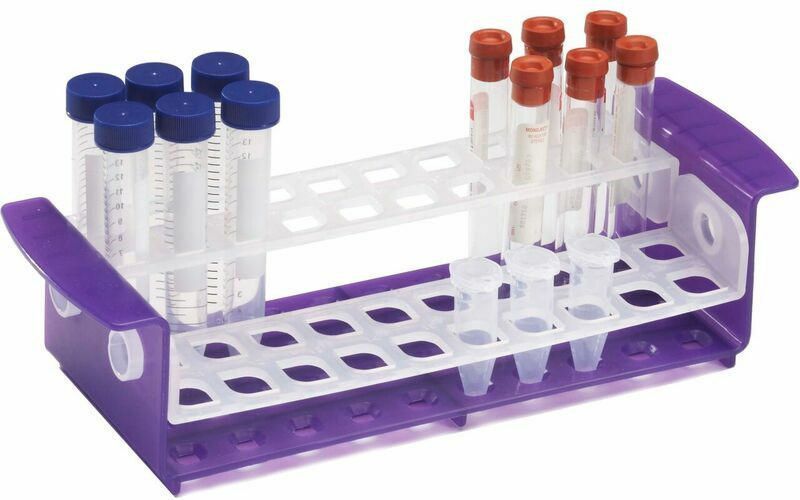 Unlike other tube racks, Ward's multi-purpose racks are specifically designed with the flexibility to hold multiple tube sizes in place to assist technicians constantly alternating between sample vessels. Ward's tube racks incorporate two moving hinged shelves that can be rotated to an up or down position to accommodate the size of the tube being used. 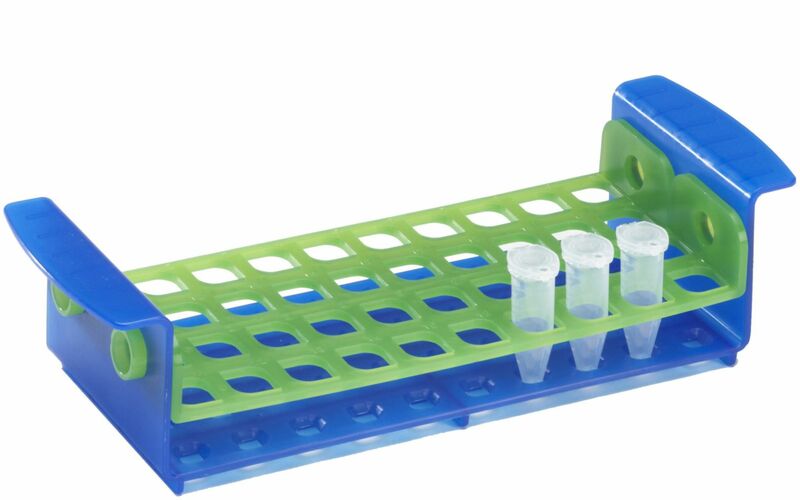 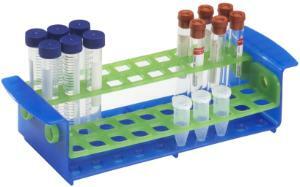 When working with samples, the shelves can be rotated to an angled position to facilitate more comfortable pipetting and allow better visibility. 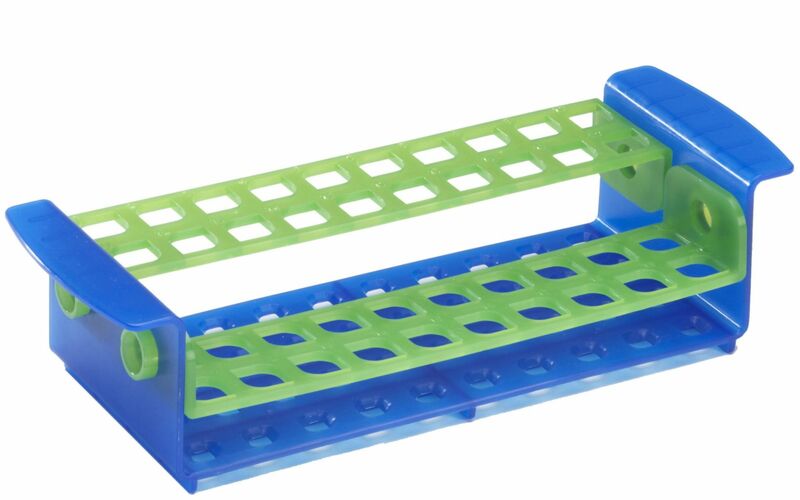 The tube rack wells have a unique teardrop design that enables easier insertion and better retention of tubes over traditional designs.